This case is truly original, and a one of a kind in the world. 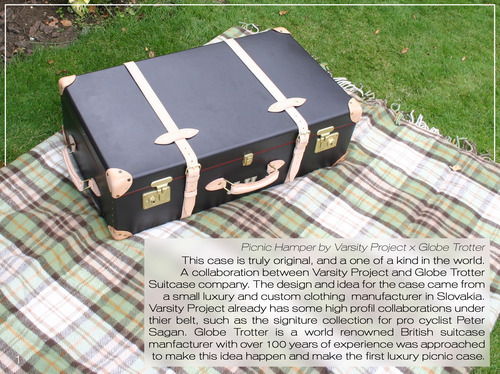 A collaboration between Varsity Project and Globe Trotter Suitcase company. 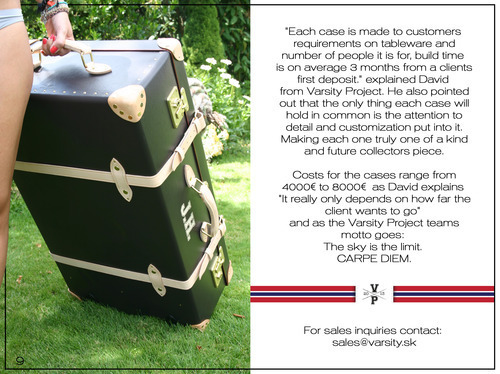 The design and idea for the case came from a small luxury and custom clothing manufacturer in Slovakia. Varsity Project already has some high profil collaborations under thier belt, such as the signiture collection for pro cyclist Peter Sagan. 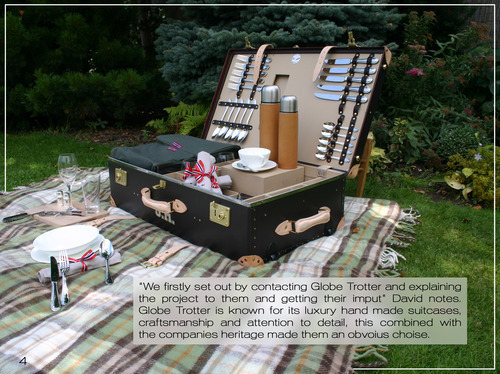 Globe Trotter is a world renowned British suitcase manfacturer with over 100 years of experience was approached to make this idea happen and make the first luxury picnic case. “We firstly set out by contacting Globe Trotter and explaining the project to them and getting their imput” David notes. 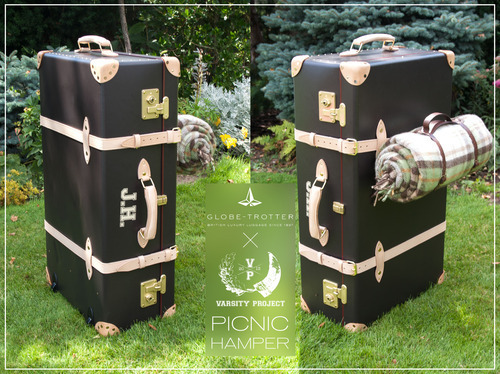 Globe Trotter is known for its luxury hand made suitcases, craftsmanship and attention to detail, this combined with the companies heritage made them an obvoius choise. 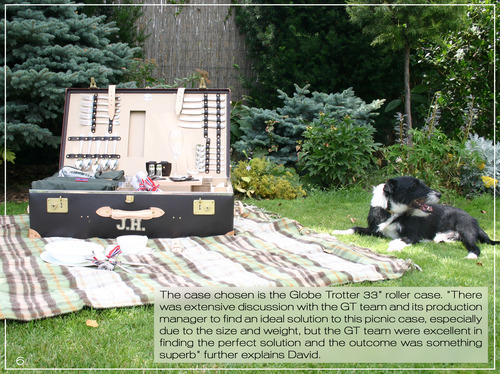 The case chosen is the Globe Trotter 33” roller case. 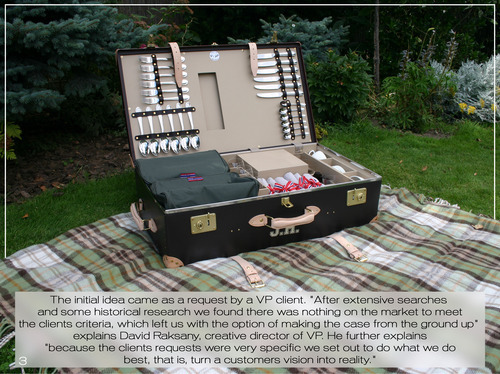 “There was extensive discussion with the GT team and its production manager to find an ideal solution to this picnic case, especially due to the size and weight, but the GT team were excellent in finding the perfect solution and the outcome was something superb” further explains David. 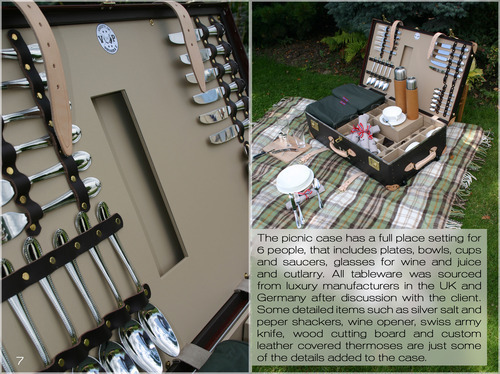 The picnic case has a full place setting for 6 people, that includes plates, bowls, cups and saucers, glasses for wine and juice and cutlarry. All tableware was sourced from luxury manufacturers in the UK and Germany after discussion with the client. 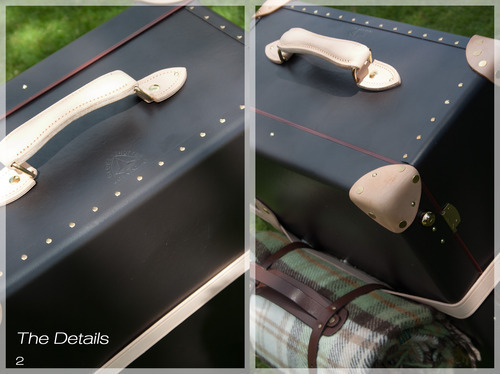 Some detailed items such as silver salt and peper shackers, wine opener, swiss army knife, wood cutting board and custom leather covered thermoses are just some of the details added to the case. But lets not forget about food, the case has 2 large thermal food compartments which can be detached for cleaning. 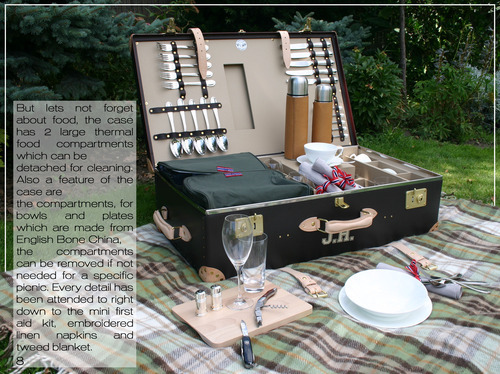 Also a feature of the case are the compartments, for bowls and plates which are made from English Bone China, the compartments can be removed if not needed for a specific picnic. 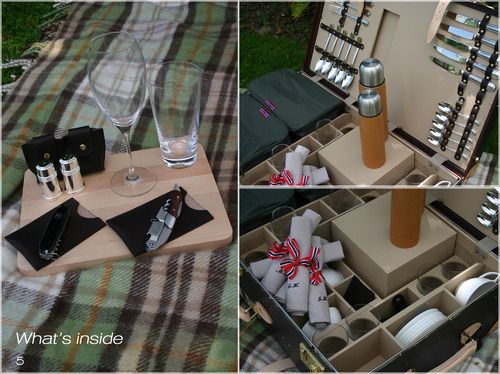 Every detail has been attended to right down to the mini first aid kit, embroidered linen napkins and tweed blanket.